Last summer, on a whim, I signed our family up for Adaptive Curriculum’s free one-month trial. Adaptive Curriculum (AC) is an award-winning online math and science program that is advertised as being for grades 6 through 12. 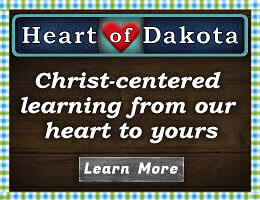 It offers incredible graphics and real-world images, interactive "Activity Objects", and instructional videos. It was an instant hit with my oldest three children (ages 13, 11 and 9), likely because of its high quality graphics, user-friendliness, and great balance of depth, variety, and challenge. Notice that my nine-year old also used and enjoyed the program, although he needed more repetition than his older siblings. I suspect other homeschooled children as young as fourth or fifth grade will too! As a mother of seven young children, I don't have the time to devote to things like lab experiments, field trips, or even searching for extra videos to supplement my children's science education. I appreciate how AC offers all of these things virtually in easily-searchable, digestible segments that are well-categorized. I also greatly appreciate the intuitive and user-friendly teacher resources that AC offers, which include a lesson planner, printables that correspond with each lesson, and several methods (online and printable) for evaluating the progress of individual students. 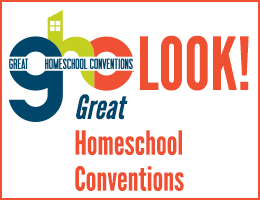 When a homeschooling teacher logs in to AC, she is presented with several options: Home, Manage, Browse, Plan, Analyze, and Support. All of these options are also accessible from the home screen, which is visually pleasing and also presents featured Activity Objects, a Latest News section, and a Guides section. The Browse section is available to both teachers and students, allowing them to browse through all of the Activity Objects by category, grade, and/or keyword, and it also allows the teacher to add URLs of other online resources. The Manage, Plan and Analyze sections are unique to the teacher account. The Manage section allows the teacher to create classes and add students to them. Any number of classes can be created, and any number of students can be added to each class. Each student is assigned an account with a unique login and password. The Analyze section allows the teacher to view the progress of each student on the lessons, and the results of their assessment tests. It will also provide an average score and reports in either PDF, XLS or HTM formats. The Plan section is for lesson planning. It includes predefined classes which include all of the lessons from AC that apply to that class. For example, under Physics, the lesson plan includes the following categories: Science and Scientific Investigation, Force, Motion, Projectile Motion, Circular Motion, Impulse and Momentum, Work-Energy-Power, Gravitation, Waves, Interaction of Waves with Matters, Electricity, Magnetism, Optics, and Nuclear Physics. Each of these categories includes between five and fifteen "Activity Objects" which contain animations, lessons in concept development, procedure utilization, experiment, interactive 3-D models and more. If the teacher does not want to utilize the predefined lesson plans, she is free to create her own by either searching or browsing through the available Activity Objects, or choosing them from the predefined lesson plans. This is what I have chosen to do, and I love how I can easily correlate the Activity Objects to the exact lessons in our textbooks. For example, it only took me about four hours to correlate a handful of Activity Objects to each of the sections within the twenty six chapters in our ninth grade Introduction to Physics and Chemistry text. Compare that with the four hours it would likely take to search for and prepare components for just one or two lab experiments! One feature that I greatly appreciate is the "See Details" link. If you click on this link, which is next to the title of each Activity Object, it provides general info about the Activity Object (the course, type of activity, running time, and suggested prerequisites, grade level and keywords), a description of its contents, performer objectives and learner outcomes. This allows the teacher to quickly skim through its content without having to watch the whole animation/do the experiment, etc. Key screen shots from the Activity Object are also available to browse quickly within the link. Finally regarding the Plan section, it allows the teacher to assign the lessons to each class, and to include a due date and/or a note to the students. The student dashboard includes three main pages: Assignments, Library, and Reports. The Assignments page includes a list of assignments by date assigned, the assignment due date, the name of the teacher who assigned it, the student's progress, and a link to either view the details of the assignment or to access it. The Library page allows the students to browse through and activate any of the Activity Objects that AC offers, or to search by grade, subject or keyword (my children love to do this if they get done early and have extra time). The Reports page allows the student to access the reports of his progress and assessments. Adaptive Curriculum might be used as a complete curriculum, it seems better as a supplement. It is easily adaptable to work as a supplement to texts, and it's the type of program that children are drawn to even if it is not assigned. It is not gimmicky and there are no virtual prizes, games, or distracting sounds which are awarded for the student's accomplishments. However, if you have a busy household like ours, I'd recommend headphones for the user. It is available in English and Spanish, and works on all types of computers. Customer service via phone is available, but AC is so user-friendly and the tutorials are so helpful that most would not need any extra help. 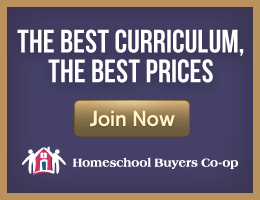 The cost begins at $99.95 per year, but significant discounts are often available through the Homeschool Buyers' Co-op. You can purchase a license for only middle school math or high school math, middle school science or high school science as well as a number of combinations of these four options. All four options combined are $199.95 per year. Each license is for up to three students. Overall, AC is an excellent product that will save families a great deal of time and money while at the same time ensuring their college-bound children a great foundation in the sciences. Cathy's Note: I've checked this out briefly and I concur with Sally's assessment. I very much appreciate the time she spent using Adaptive Curriculum and writing it up for me! Keep in mind this is a secular curriculum with content supporting evolution. SkySong Suite 120 1475 N. Scottsdale Rd.